Here is the sixth and FINAL clue for the Great Ferndale Midsummer Mystery – running from July 1st -24th. Please turn in your scorecard by next Tuesday, July 24th. 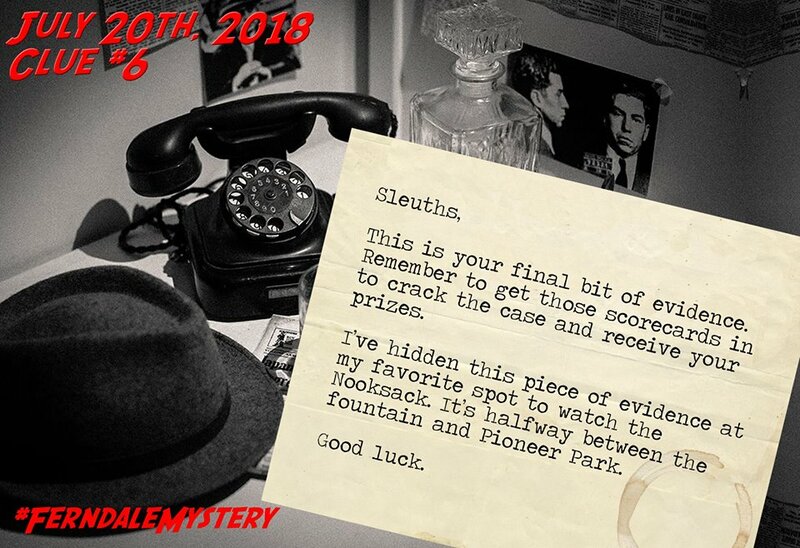 You can find all previous clues, the scorecards, rules and all the details on our cash prizes by clicking here. This project is supported by Project Neighborly, from the Whatcom Community Foundation and is part of our 2018 Summer of Fun from Ferndale Parks.